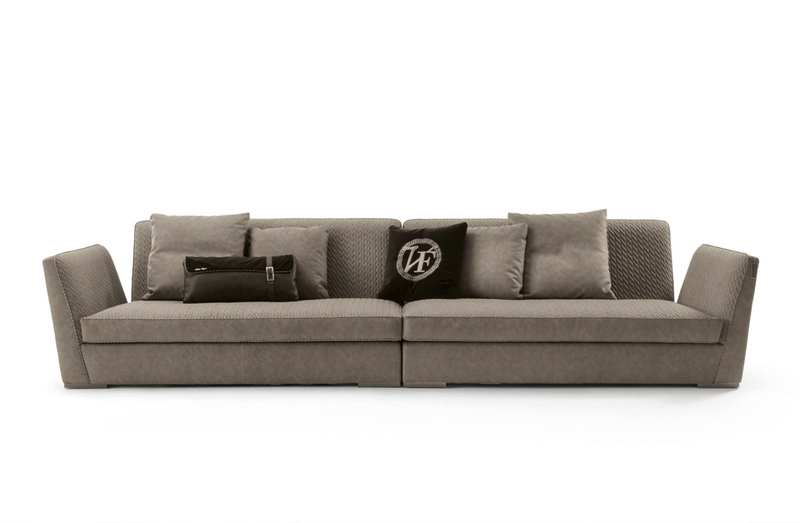 Sofa collection with solid wood structure covered in HR foam, HR foam seat cushions, small back cushions with goose feather filling. Feet in bronze painted metal. Please see ADDITIONAL SPECS to view all available sizes. See ADDITIONAL SPECS to view all available sizes.